Does this count as a graphic novel? If it does then it's my first. 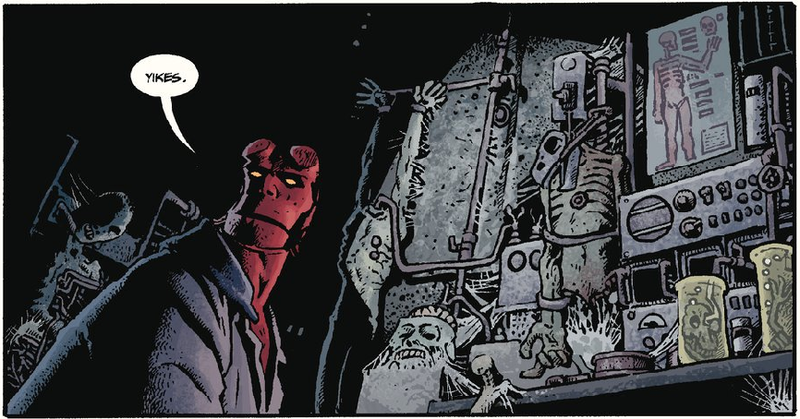 I don't really know a lot about Hellboy outside of what was in the movies, but I really enjoyed this. The story takes place in 1956 when Hellboy went missing in Mexico for five months. It turns out that he became one of those Mexican wrestlers (a luchador). One day after a match he is approached by a mysterious stranger who invites him to wrestle his boss's "champion." Hellboy isn't interested until he finds out that a girl's life is on the line. He travels with the stranger to meet the boss and the champion and then it gets crazy. The champion, as it turns out is a sort of Frankenstein monster with super-strength and an unholy ability to take a punch. After the monster Hellboy has to deal with a werewolf, a vampire and some kind of evil ghost-ladies-vampire ladies. Once the action starts it really doesn't stop until the final page. Look, I don't know much about these graphic novel things, but I thought this was pretty good. The comically nightmarish art of Richard Corbin really worked beautifully with the story by Hellboy creater Mike Mignola. 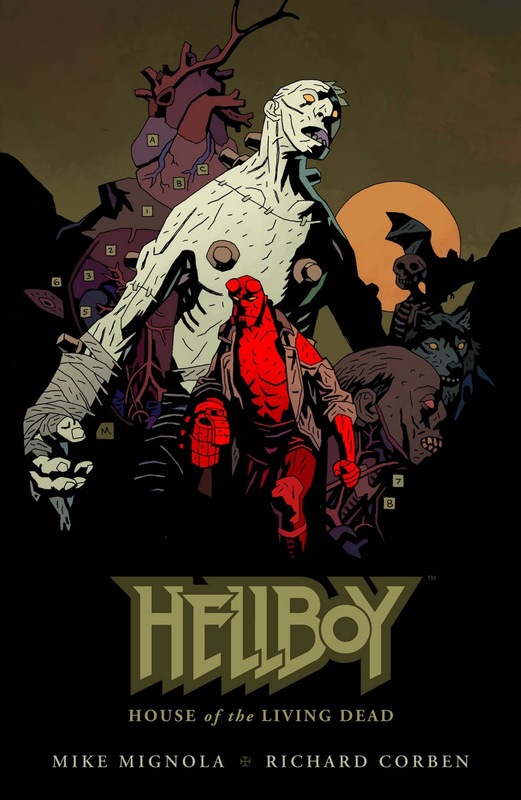 A bit of research tells me that this is a sequel of sorts to another story, Hellboy in Mexico (collected in Hellboy #11: The Bride of Hell and Others), which was also a collaboration between Mignola and Corbin. I've read this twice now and the first time through I mostly paid attention to the story, but the second reading allowed me to pay closer attention to the backgrounds and the subtle emotions in some of the character's faces. I'm coming to understand how a graphic novel can provide some of the same emotional depth as a traditional novel. This may have been my first experience with a graphic novel, but it won't be my last.